This exquisite beauty has the best of both worlds! You'll be close to the blossoming & charming downtown Fountain Inn, yet have an easy commute to downtown Greenville & I-85. 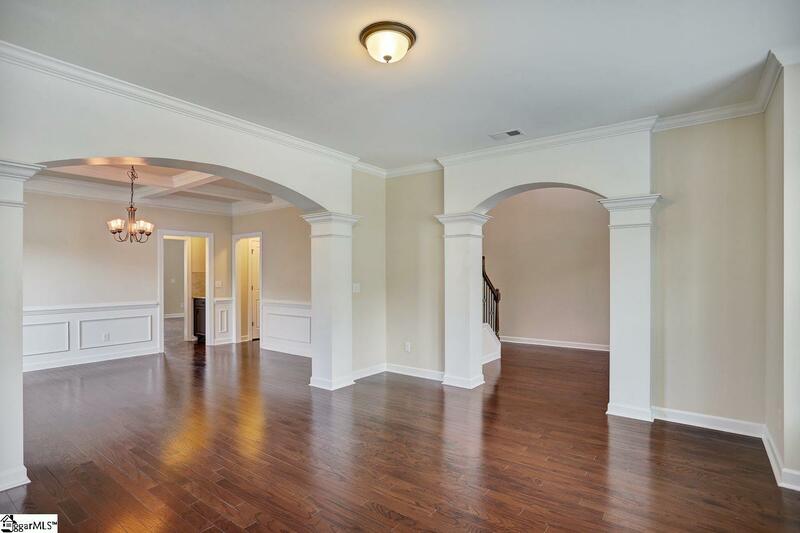 A grand two-story foyer with an elegant staircase greets you as you enter this majestic home. Five bedrooms, a bonus room (could be used as a guest bedroom, office, playroom, etc) and 3 full baths offer generous accommodations for family & guests. A first floor bedroom with adjoining full bath could be used as first floor MBR. The floor plan is open, inviting & practical. 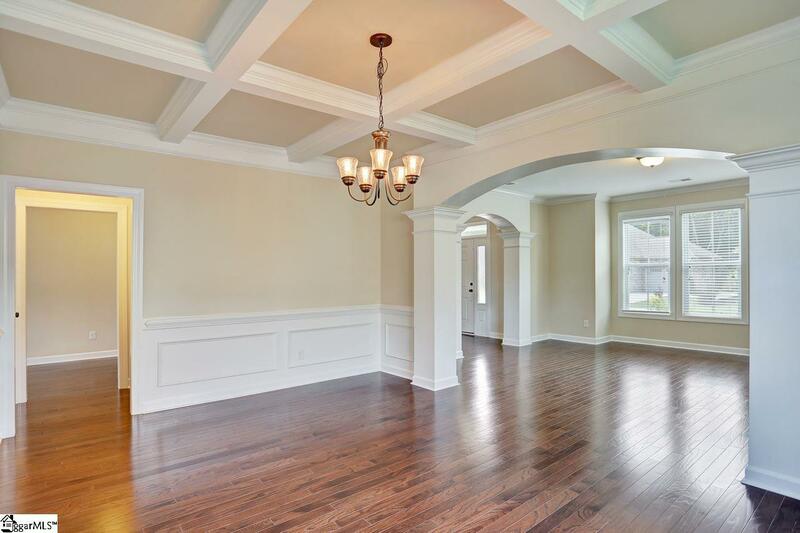 With a formal living room that adjoins the formal dining room, there is plenty of room for entertaining guests. 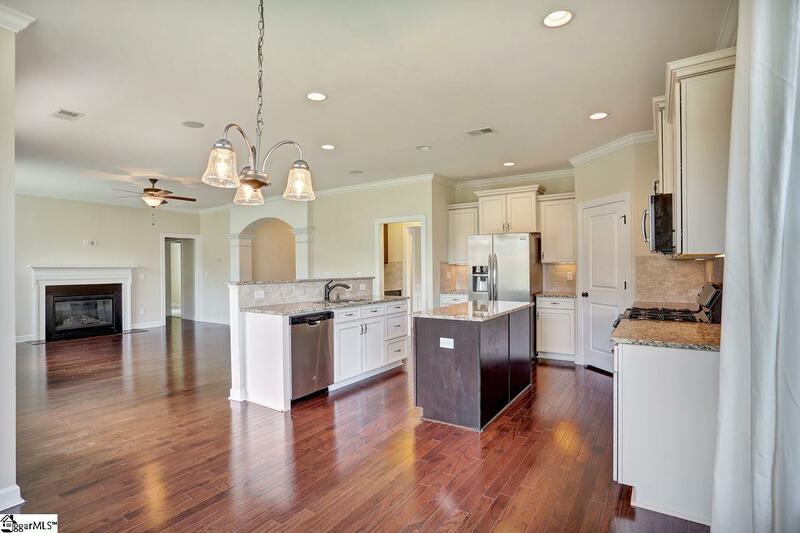 The kitchen is large & open with beautiful granite counter tops, stainless steel matching appliances, gas cooking, island, pantry & a breakfast nook. The adjoining den offers a relaxing & cozy environment with a gas fireplace and a view of the backyard & patio. The master bedroom suite (2nd floor) is grand & luxurious with a generous bedroom size, sitting area, large bathroom with elegant cabinetry, double sinks, garden tub, over-sized tiled shower and an enormous walk-in closet/dressing area. Additional bedrooms and bonus room are all generous in size as well. Convenient two car garage & bonus utility room offer plenty of room for storage. Community amenities include a large swimming pool that is sure to be a treat during the summer. 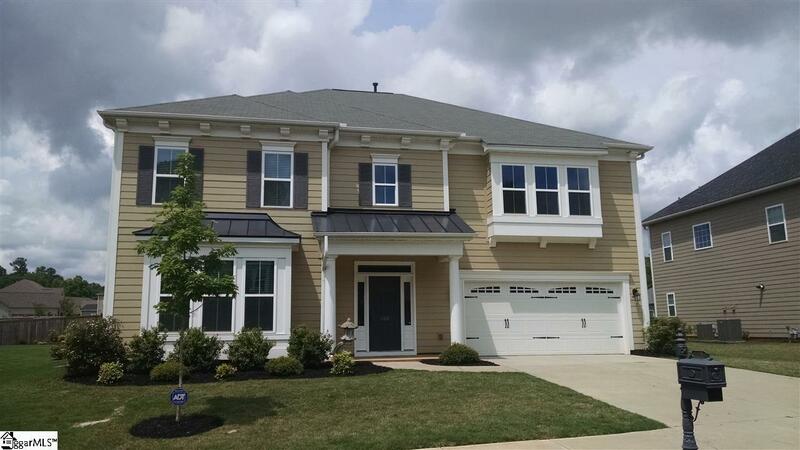 This home is move-in ready, has many attractive features and is located in a desirable community. Listing agent is related to seller. Call today to schedule your private showing asap!